This article was first published by Global Research in May 2017. What the photos taken by the robot did reveal was that some of the structural supports of Unit 2 have been damaged. It is also true that all four buildings were structurally damaged by the original earthquake some five years ago and by the subsequent hydrogen explosions so, should there be an earthquake greater than seven on the Richter scale, it is very possible that one or more of these structures could collapse, leading to a massive release of radiation as the building fell on the molten core beneath. But units 1, 2 and 3 also contain cooling pools with very radioactive fuel rods — numbering 392 in Unit 1, 615 in Unit 2, and 566 in Unit 3; if an earthquake were to breach a pool, the gamma rays would be so intense that the site would have to be permanently evacuated. Every day since the accident began, 300 to 400 tons of water has poured into the Pacific where numerous isotopes – including cesium 137, 134, strontium 90, tritium, plutonium, americium and up to 100 more – enter the ocean and bio-concentrate by orders of magnitude at each step of the food chain — algae, crustaceans, little fish, big fish then us. Fish swim thousands of miles and tuna, salmon and other species found on the American west coast now contain some of these radioactive elements, which are tasteless, odourless and invisible. Entering the human body by ingestion they concentrate in various organs, irradiating adjacent cells for many years. The cancer cycle is initiated by a single mutation in a single regulatory gene in a single cell and the incubation time for cancer is any time from 2 to 90 years. And no cancer defines its origin. We could be catching radioactive fish in Australia or the fish that are imported could contain radioactive isotopes, but unless they are consistently tested we will never know. 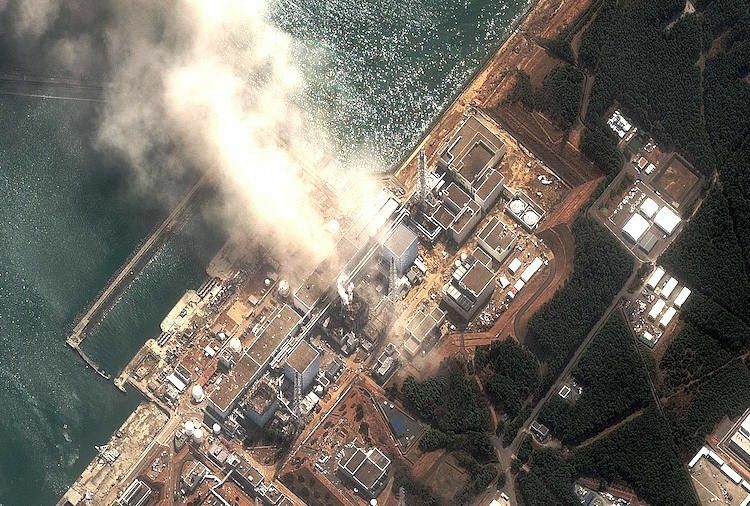 As well as the mountain water reaching the Pacific Ocean, since the accident, TEPCO has daily pumped over 300 tons of sea water into the damaged reactors to keep them cool. It becomes intensely radioactive and is pumped out again and stored in over 1,200 huge storage tanks scattered over the Daichi site. These tanks could not withstand a large earthquake and could rupture releasing their contents into the ocean. Prime Minister Abe recently passed a law that any reporter who told the truth about the situation could be gaoled for ten years. In addition, doctors who tell their patients their disease could be radiation related will not be paid, so there is an immense cover-up in Japan as well as the global media. The Prefectural Oversite Committee for Fukushima Health is only looking at thyroid cancer among the population and by June 2016, 172 people who were under the age of 18 at the time of the accident have developed, or have suspected, thyroid cancer; the normal incidence in this population is 1 to 2 per million. However, other cancers and leukemia that are caused by radiation are not being routinely documented, nor are congenital malformations, which were, and are, still rife among the exposed Chernobyl population. Bottom line, these reactors will never be cleaned up nor decommissioned because such a task is not humanly possible. Hence, they will continue to pour water into the Pacific for the rest of time and threaten Japan and the northern hemisphere with massive releases of radiation should there be another large earthquake. You can follow Dr Caldicott on Twitter @DrHCaldicott. Click here for Dr Caldicott’s complete curriculum vitae. See Independent Australia’s exclusive early report here. Read IA’s continuing investigation here and here. 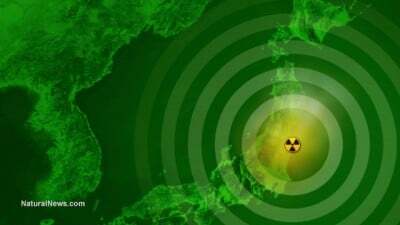 – Fukushima Nuclear Disaster- You won’t hear this on the Main Stream News.